The REMC Association’s Classroom Makers Program provides access to maker training, curriculum, and materials. One of the resources available for schools through the REMC Association is Classroom Makers. 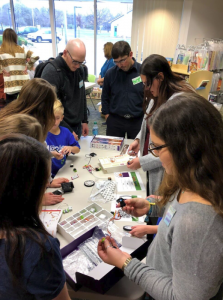 Through this resource, educators can create their own makerspace in the classroom, allowing students across the state to experiment, create and experience hands-on learning with innovative equipment. This resource provides local districts with access to maker training, curriculum, and materials. These resources are to be used by educators, specifically Michigan classroom teachers, in the districts to help support and expand curricula and learning. Maker tools consist of a wide variety of items ranging from small robots to cameras to electronic blocks and more. The purpose of this program is to help educators provide hands-on activities and encourage students to collaborate, invent and create while engaging in critical thinking. Within this space, students can build prototypes, answer questions, fail and retry — all while collaborating with their classmates in makerspaces created in the classrooms. lesson plans. The resource also comes with in-person training, guides for classroom applications and ideas for sharing creations with educators, parents and other makers. 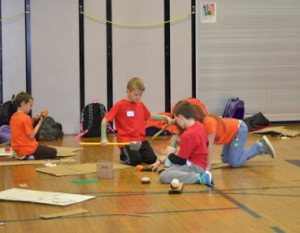 To get your district involved in the maker movement, visit remc.org/resources/classroom-makers and connect with your local REMC Center. The REMC Association of Michigan supports quality teaching and learning and provides equity to Michigan’s K-12 students. It is committed to providing information and resources to administrators and strives to support districts in simplifying the budgeting and process for professional development resources. REMCs and Intermediate School Districts collaborate to provide leadership and support to the Michigan educational community in the areas of curriculum and instructional technology. The Regional Educational Media Center (REMC) Association of Michigan provides proactive leadership to the Michigan educational community by working with organizations in building a vision that supports quality teaching and learning and creates equity to Michigan’s K-12 students. The REMC Association is made up of 28 regional educational media centers that provide local programs and services and, through REMC, provide classroom tools and professional learning for the various education communities. The association promotes the transformative use of technology and provides Michigan schools with access to educational resources to help teachers increase student success. Support constituents and improve teaching and learning statewide through future-focused collaboration, leadership, and service. Empower teachers to create high-quality, engaging instructional environments when they have access to the necessary skills, tools and rich sources of information. Sue Schwartz is the executive director of the REMC Association. Contact her at sueschwartz@remc.org or 517.285.2151.